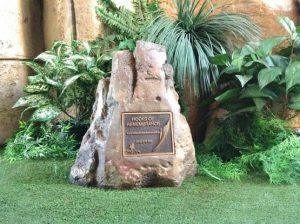 Rocks of Remembrance - One of a Kind Artificial Rock Memorial Products. 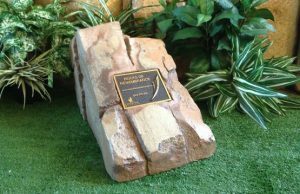 We create absolutely beautiful one-of-a-kind lightweight handcrafted artificial rock memorial products. 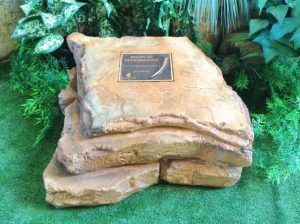 Rocks of Remembrance is a Sunshine Coast based business that produces one of a kind artificial rock memorial products like no other. Our products are 100% Australian made by us using our special formulated concrete blend. 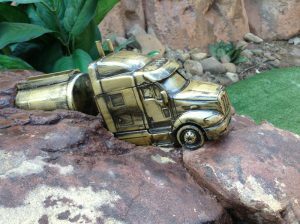 They are all meticulously hand sculpt with attention to detail & very realistically coloured using our own colouring system. 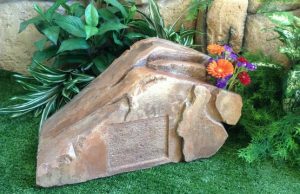 Our range of products includes Artificial Rock Cremation Ash Urns, Headstones, Wall Plaques & Lawn Plaques. 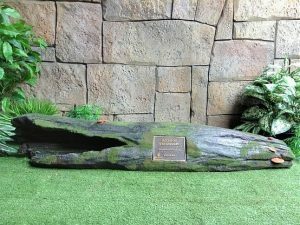 We can also add a handmade sculpture for a personal touch. We can supply Cemetery quality bronze & glass plaques, ceramic photos & arrange freight Australia wide. 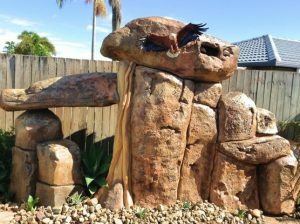 Rocks of Remembrance combined with Rod’s Landscapes (Artificial Rockwork Specialist) have been constructing artificial rockwork since 1987, locally, nationally as well as international. 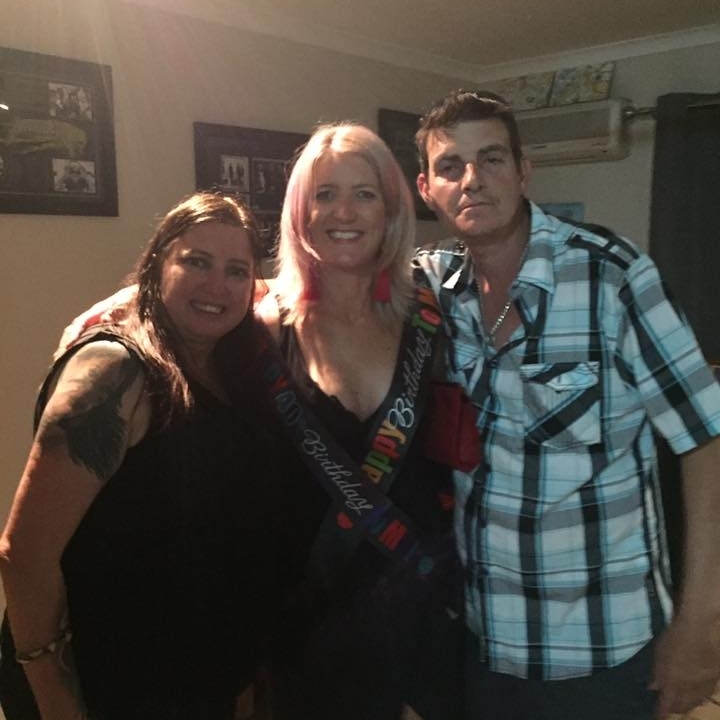 Rocks of Remembrance was formed in 2015 after receiving many enquiries while working on a huge project on an Island in Fiji. 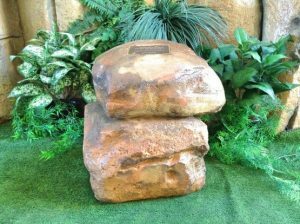 Our customers were not happy with what was already out there in the market so we decided to scale down our other business & concentrate on Rocks of Remembrance. 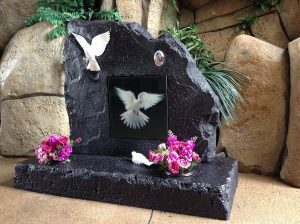 We design & construct one of a kind headstones & cremation ash urns all 100% handmade by us using our special formulated concrete blend, we hand sculpt each piece making it unique in its own way. The good old fashioned hand sculpting is slowly becoming a thing of the past, but not here at Rocks of Remembrance as we use no moulds. We can custom colour our products to personal preference using our own special colouring system. 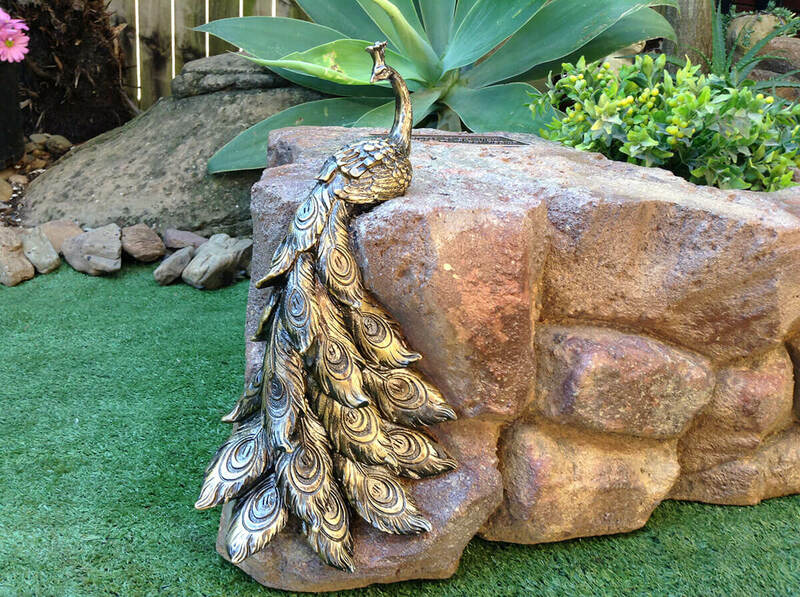 We can also add a handmade air brushed sculpture for a personal touch to reflect a loved one’s life. 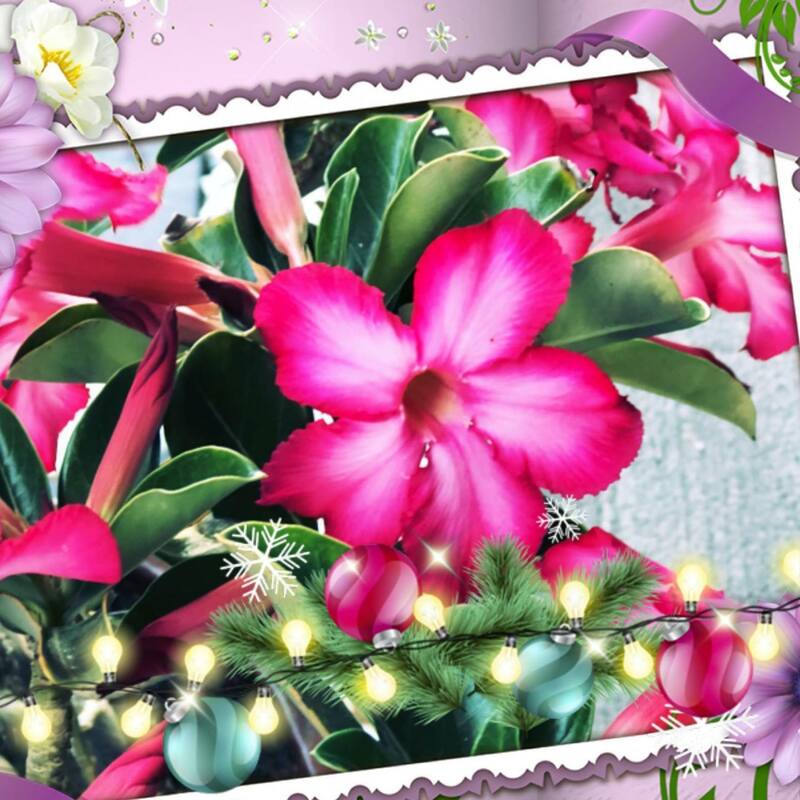 "Wherever a beautiful soul has been, there is a trail of beautiful memories." 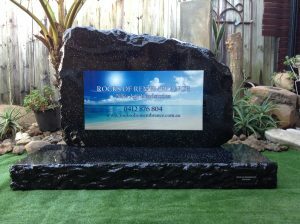 Rod recently completed an amazing headstone for my dear friend. Something very unique just for her, Joanna was an artist & did some beautiful paintings two of which I have to remember her. Rod incorporated her brushes, palette & the used paint tubes within the headstone as well as a picture of Jo, it was truly amazing & absolutely took my breath away when I finally saw the finished stone. 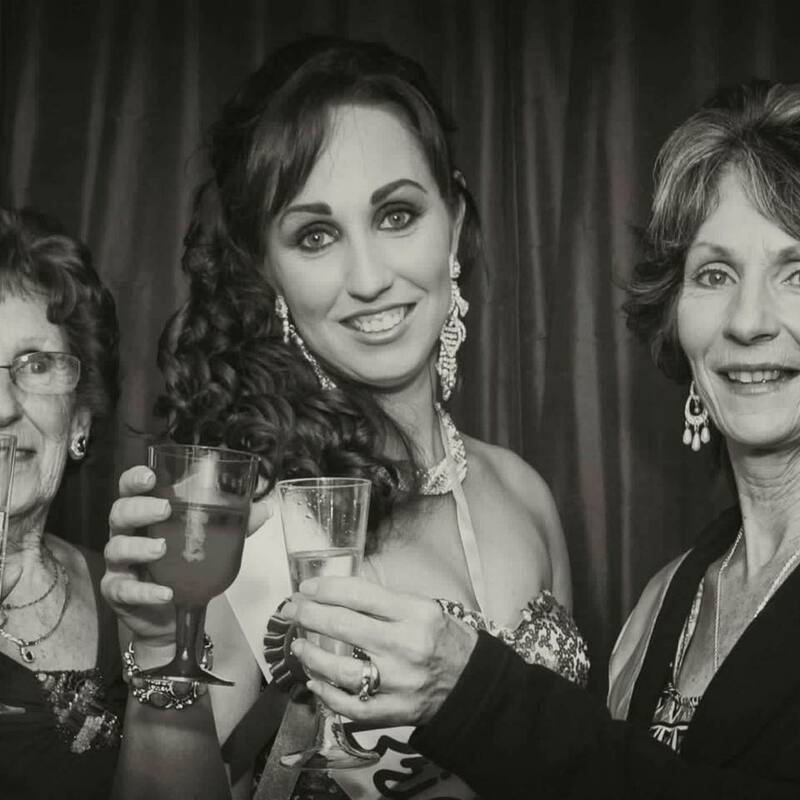 The attention to detail, the care & compassion is beyond words, I cannot thank you enough for what you have created.